please go to our wayopay online shop for current Download matches in the Custom Scenario category. Bin Wars two gangs led by Ady & Sammy come to blows in Spotland Mill. Ady tries to calm things down and encourages both crews to take their differences into the ring. Bin Wars on our first video filmed in HD! in a promission match with the best of ten scores winning the money! one persons mexican table is another's surfboard ... so could this be a suspended mexican? 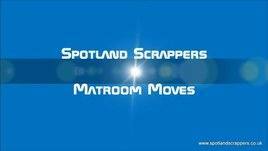 over an hour of action in ring, matroom and water with Team Spotland! "... a great fun scenario." "What a team to let loose on a building site!" The guys pose at the start of what turns into a "Squash Match"
The lads put on a good skillful bout using the rope to get into position. So the Spotland Pirates get 10 out of 10 and the audience warmed to it too. "... good tussle and it needs a fair bit of skill to set up holds while tied together. ... remember Danny Collins v Fit Finlay. really good job by the first two...and you managed to get the ending perfectly. The Vet leader challenges them, putting up his two vets against Newbie 1 and Newbie 2 in a no holds barred tag match. Now the Vets Leader decides take care of these upstarts himself. the gym belongs to him...he points to his photos on the wall. Ray took the punishment well; I know he will know he was in a tough match with Ady; even the gear sets it off with the boots ..."
"Just to let you know I've now got all 4 downloads and the DVD. Thanks again to the guys. Great job. Really enjoyed collaborating with you and hope to do it again soon." the 3 in 1 Zoltan Boscik hold on Ray and Smiler ..."
a series of scenarios with a punch, combining boxing and grappling. "As a fanatic of lift and carry, I ABSOLUTELY LOVED Day Job! Thank you! and to finish off with Team Effort Halloween Surfboard ..!!!" David Cuplu v Ray Junior in You're Choking! a 2v1 oil wrestling match with two big guys dominating a small guy who doesn't like oil! "I want to thank you so much. The team really did a great job. But what I liked most was Lofty’s talking during the match. He is not only an extremely handsome wrestler, but a great actor, too. "I thought it was a great match. I liked where he was caught on the ropes ..."
Trainee Joey Eden is taken to task for listening to music by Mr Grumpy David Cuplu. Eventually Ray Junior hears his shouts for help. Awaiting the EU Referendum result, Ray Junior leads Gypsy Joe & Adri creating some music. Ray Junior's training for the Olympics is interrupted by an unknown masked wrestler. a customised hybrid of 1v1's & 1v2, plus group fun fight with musical accompaniment! The match is awesome ... best part is how Smiler just kept on fighting both of them ... kept on trying! Young Ady was great in there ... and the music one at the end was brilliant, truly! You guys do great work." ... always a victim for the 2 on 1 ... good bout." "This has worked out very much as I wanted it to. Callum & Sam both look beefier than before and the action is equally robust. An unusual scenario with an unusual conclusion to boot!" "Really enjoyed WTB4. Sammy has matured in this series. He showed great tenacity against a much stronger opponent and fought well." "Love that Who's The Boss is back. Sammy shines in these matches." "Great set-up for guest wrestlers." "One of the best wrestling vids I have ever purchased." a chance to put their recent learning into practice against more experienced opponents." challenging each other lifting weights, grappling & abs testing! Shinobi Custom a magical match! and it made me happy to see that both these guys seemed to really enjoy themselves doing it. Now, I need to think up another custom." "Lofty and Ray Junior did a great job and looked fantastic too!" "I'm watching the custom Ninja match again and its excellence continues to reveal itself to me. Bravo again to all involved. So many nice little touches I keep spotting. Really great job in bringing together so many of the the things I emailed you about when we were coming up with the idea!" "Good to see Lofty back in action looking in great shape as always ..."
Police Officer v Fire Officer! and this time the guys challenges include lifting a gas cylinder, knees & kicks. 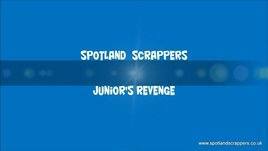 But will little Junior get his revenge on the mats? and during the afternoon I felt that I was spending time with friends. - what an amazing afternoon it was!" "All I can say is - HOLY SH*** this video was FUN! - especially the bicep curls and baby carried - that is such a fantasy of mine!" "I enjoyed it.This match is very good.Thank you so much." "... young Flavi suffers beautifully in this camel clutch by the masked heel Lucas Mascat ..."
Spladle Splits custom match with a masked wrestler, spladles and a rope! "Hey I just wanted to tell you that I loved the custom, I'll definitely be ordering another one soon. Keep the mask please." "Good to see Ray Junior enjoying a Scissorfest"
Ray Junior has been stealing from the locker room. When four of the guys confront him, RJ says he can do what he wants because he's the boss. They challenge him to prove it by fighting each one of them in turn. "Just finished watching ... it was great! Loved how you incorporated so much of what I asked." "Good lively production with Ray giving a lesson to the Four Just Men"
until one of the guys dominates towards the end and produces an unusual flying knockout move. as powerful Lofty tries to deal with cheating moves from Gypsy Joe and the match develops into a brawl with a knockout win! "Really enjoyed this match. Great technique and ability. 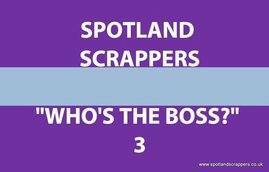 Spotland Scrappers are terrific guys." "Thanks so much for all the hard work. I really appreciate it." "This one certainly put a smile on my face, really a quite original and unusual match. I do like the way these two work together very well, and the sense of fun." with punches and grappling/chokes rather than wrestling/submission holds. Ray and Silva are known as the best fighters in their regions. Both guys are too cocky to share such a title, so they decide to meet up and fight it out. They’ve agreed to a best out of three fights, with the winner declared by knocking out his opponent. The last man standing after two KO’s wins, and can proudly claim to be the better fighter once and for all. Both guys are confident they'll be the one walking away victorious. "I've watched the video several times since you sent it and really enjoyed it. Thank you so much!" The match is heavier guy vs smaller guy but the lighter one is experienced and a better wrestler. The fight is more of a brawl as both guys use their fists, forearms, uppercuts. who beats Matt up in & outside the ring. "This is an amazing custom, please tell the guys how good they are ..."
"The content is all there and it's everything we wanted"
as Sammy enjoys the job of rookie wrecker! Ray Junior leading "The Rookies"
I really appreciate how they tried to immerse themselves "in character" to deliver. Ady was especially good -- both his action and his smack talk. Really well done. And of course Ray made for a great jobber. to stab Ady in the back at the end of the Outsiders series. so all the other "Outsiders" see what happens when you cross him. against an unreasonable Ady - it was nothing personal. So Ady challenges Sam to a "loser leaves Spotland" match. "I love that they are always willing to have fun bringing my vision to life! over who should mix the cement! (the combo of rip strip in the first with workers' gear in the second - two of my favourite scenarios). 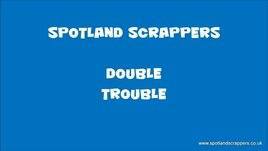 All in all, I reckon this goes on my list of Spotland favourites!" "The match is perfect! I love it. The choice of music is hysterical and a very nice touch! It's amazing what you're able to do so quickly, based on another person's view of what their custom match would be. ... it was fantastic! They really do work well together." and a team scrap is the inevitable result! 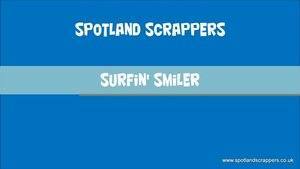 Once again Spotland Scrappers are "doing our thing" for Children in Need. This year we've produced a video compilation funraiser. "It's chocs away for a laugh a minute ..."